into themselves, their fiery coals hissing. loomed scarf and sent it flying. a wailing cry in the night. uncertain. She grabbed the hem of my coat. Fear met the madness of her roving eye. starless night and we re-entered our comfortable life. the only clue to her life. A life we had forgotten. and the face I’d know anywhere. © by Mary Jo Balistreri. 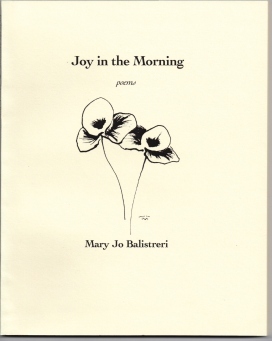 Mary Jo Balistreri is the author of two poetry books, Joy in the Morning and Gathering the Harvest, plus a chapbook, Best Brothers, published by Tigers' Eye Press. 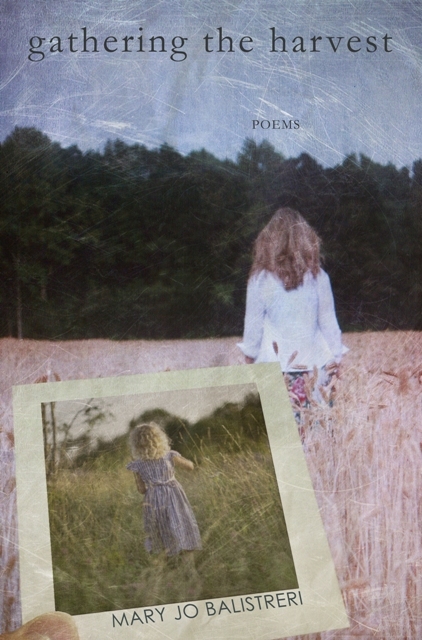 Mary Jo feels that losing oneself in the process of writing is healing, and that sharing poems, learning about the experiences of others, and the sensibilities and events that move them widens our circle of community. Learn more about her at http://maryjobalistreripoet.com/. Jo, Don't know if you remember me....I used to live in Rehoboth and worked with Maribeth on the first two Writers at the Beach:Pure Sea Glass. I worked at Booksandcoffee in Dewey. Found this poem while strolling around Facebook this morning. Wow! It's absolutely gorgeous. What a wonderful serendipity to start my day! All best wishes, Debby (Elderdice) Creasy in Wilmington NC now. What a wonderful poem, Mary Jo. It is appealing on so many different levels: your humanity to this woman, the vivid imagery...something for everyone! a very good poem on a terrible subject. There is no excuse for loneliness. How does one comment on a poem that has the ability to knock you off your feet? This is one of those. OMG! More than a touching poem. A life's lesson. This is the first poem I've read of your. I will read more. What a lovely poem, Jo. I enjoy your poems so much. Beautiful, narrative poem, as always, Jo. Can't wait for your next book. I love this have always loved this. BLess your kind heart. Thank you everyone for your comments. They are appreciated. The "red silk scarf" and the "garments of neglect" wonderful images, and a perfect title. Thanks Mary Jo. Great work, Jo. Loved it! A wonderful poem! Glad to read it again while still in the Thanksgiving mood in "our comfortable life." A challenge!